India is a developing country projected to be the sixth largest economy in the world. It has launched “Make in India” movement for encouraging companies to manufacture their products in India, which will boost employment at home. To attract overseas investors, it is strengthening its physical infrastructure. Thousand kilometers of inter-state roads and highways to facilitate transportation of good and services are being constructed. To provide a base for manufacturing, land acquisition is also going on in high scale. It has made FDI policy for investment in manufacturing, real estate, and retail sectors lenient as well. But India is totally ignoring the danger looming over its head in the form of 3D printing. 3D printing or additive manufacturing technology is casting a dark shadow on traditional manufacturing methods. It is looked at as the third industrial revolution with a potential to change manufacturing and lives of people in general. Product designing, manufacturing, and distribution are all set to change with the technology advancements in 3D printing. With additive manufacturing, production network is about to be shortened and limited to designer and manufacturers of 3D printers. The only link in between these two would be the suppliers of printing materials. Here’s how 3D printing would impact India’s manufacturing economy. Since 3D printing can cut down manufacturing process, it can have a strong impact on the production network both nationally and globally. It will also reduce the need for warehousing, logistics, and transportation. As products can be designed and manufactured as per the market demand, taking up mass production, and then storing is not required. This will also eliminate the need to invest and employ people to handle logistics and warehousing. So employment and development plans would receive a major set backup. 3D printing will simplify manufacturing process and reduce cost of time and labour entailed in assembling of parts and components. It will also help testing and fitting prototypes easy and fast. Moreover, with 3D CAD model in a digital format, it is easy to change the design even after prototyping and before final production. This way, thousands of dollars will be saved. The best thing is, any manufacturer can print the design with changes at site using a 3D printer. This will change the economies of scale and reduce national and global supply chain. The only network that will exist are material supplier and the end user. 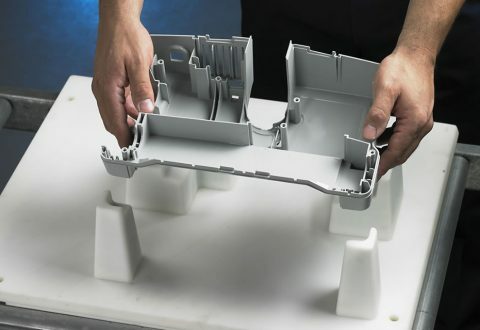 3D printing can break the concept of assembly line that is so integral for any type of manufacturing process. Since a new production system will be created, there will be no need of assembly line where semi-skilled people work. With semi-skilled people out of the production cycle, it would create more burden on Indian economy. And as the assembly-line workers cannot be accommodated in any other sector, they will be left on their own to survive. Any parts and components required in engineering and mechanical products are usually created and supplied to the companies by small manufacturers. With 3D printing capable of creating items in any dimensions from a size of pin to airplane wings, there will be a major disruption in the forging industry. Forging companies would be drastically affected since they are dependent on manufacturers. 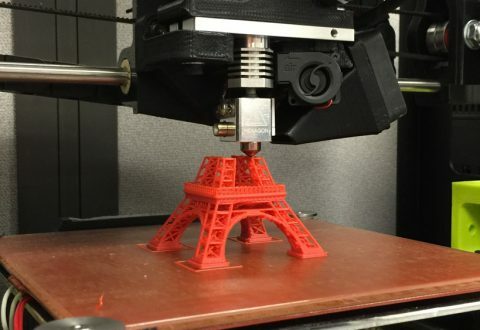 3D printing will impact manufacturing sector, infrastructure, and development plans to a great extend. It will affect economies of scale, warehousing, logistics, and transportation. Unfortunately, it will have a great impact on employment of masses. So now is the time that Indian government should decide whether we are ready for this change.